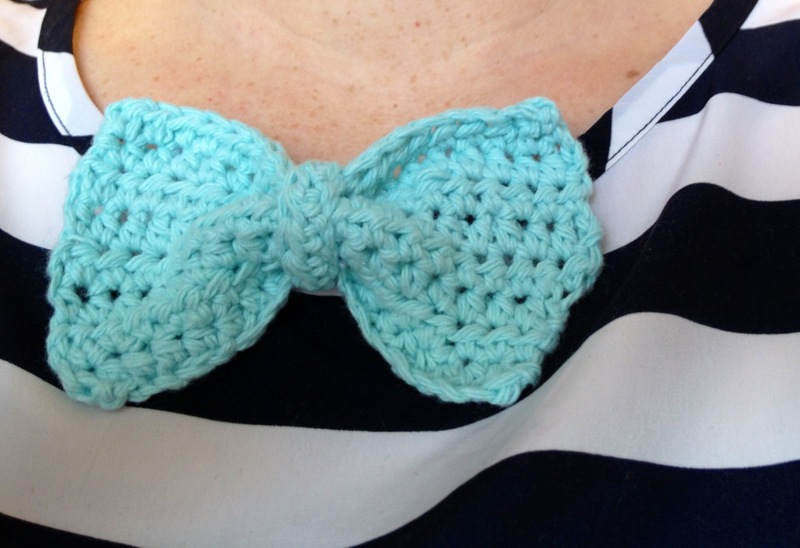 blue eyed freckle: Clip-on bow-tie for GIRLS (or boys)!! 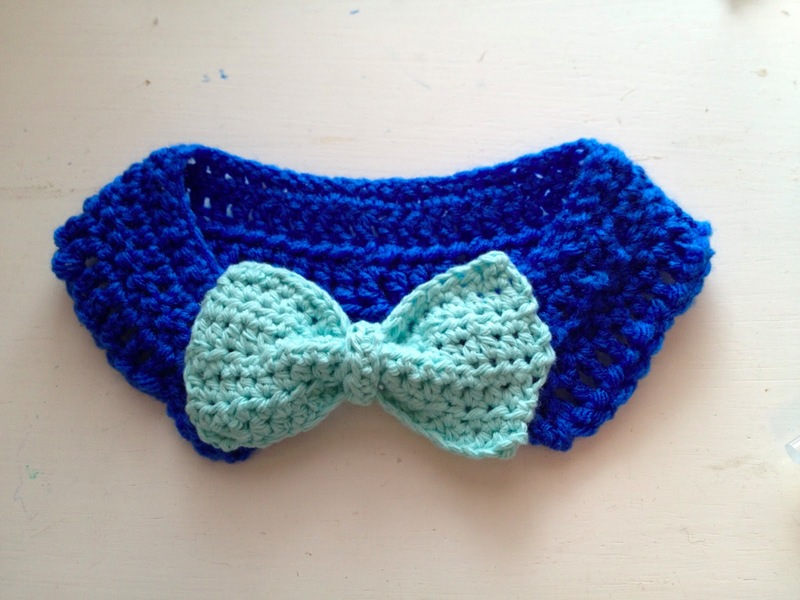 Clip-on bow-tie for GIRLS (or boys)!! I am now getting into the swing of things and am better adjusted to this crazy crazy life of mine. It is NO JOKE taking care of three baby/toddlers! Just taking them somewhere is a workout. Getting three kids buckled, un-buckled, into strollers etc is killing me. I don't like having to go too many places because I'm sweaty and worn out! But one day they will all be able to walk themselves, unbuckle themselves, and get themselves situated in the car and life will be a tad easier in that department. For now I am just trying to focus on how cute they all are (when they aren't screaming at each other or coloring on the walls of course). I love being a mother, more than I ever imagined (I always thought I didn't want kids--HA! ), but its also even harder than I imagined. Luckily I have a really great, helpful partner/husband who gives me lots of rest on the weekends. Only 3 more months left til that's over and he starts his Ob-Gyn residency! ahhh! Okay, so on to the subject for today: BOW-TIES! 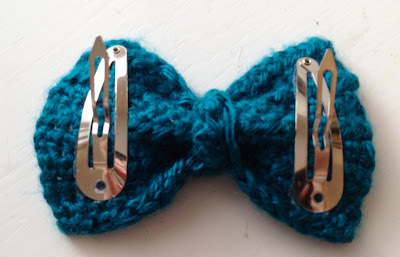 Yes, tutorials are all over the internet, and in fact one of my most popular posts of all time on pinterest, is the Big Bow Tutorial. Which you can use to make the bow-tie itself. This tutorial is for making it work on girls, women, and baby boys with crew neck instead of collared shirts. a bow, large or small, fabric, leather, felt, crochet/knitted, whatever you want! 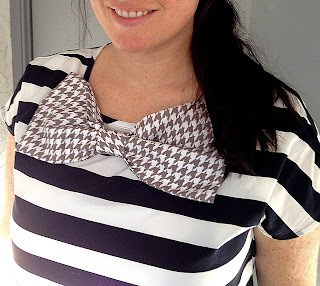 I love bows and bow-ties, but the traditional way to make one has a band around the neck, or a clip that goes sideways, and both require a collared shirt to be worn. 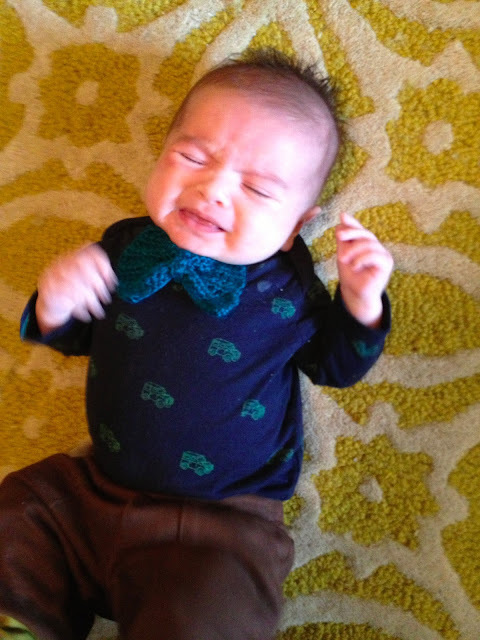 I originally came up with this solution when a friend of mine asked me to make some felt bow-ties for her baby who mostly wore onesies, but I figured out it works for adults as well. 1. hot glue the two clips on to the bow, at the width apart that works for the wear-er/ bow. Okay, now you are finished. Attach to yourself, your baby, your son or daughter! I love love love mine, and made 3 at once. too cute! love your blog!